Six credits hours a semester or 16 weeks. This is concentrating on one course at a time. Higher Learning Commission of the North Central Association, which is located at 30 N. LaSalle St. Suite 2400, Chicago, IL 60602-2504 (phone: 800-621-7440; web: http://www.ncahigherlearningcommission.org). Welcome to Grand Canyon University Online! You can earn your degree in 1-1/2 to 2 years. If you have transfer credits, you may be able to earn your degree in less time. Part of this is possible due to the under 20 students per instructor ratio that is offered through GCU online. Online Classes - Students at Grand Canyon University Online are assigned to a proven educational professional who is a virtual instructor. You will participate in a virtual community with other students taking the same courses as yourself. In this way, you are able to communicate with your virtual instruction and other students through discussions and able to participate in class projects. The curriculum you receive uses advanced technology, as well as emerging technologies, so you do not miss a beat. Instructors are professionals in their fields and have excellent skills in researching and teaching. Classes are flexible so you attend when it is convenient for you. Financial assistance is offered through Self Help Aid, which are low interest loans and Gift Aid, which consist of Pell grants and scholarships. Self Help Aid is available to Grand Canyon University graduate and undergraduate students who qualify. 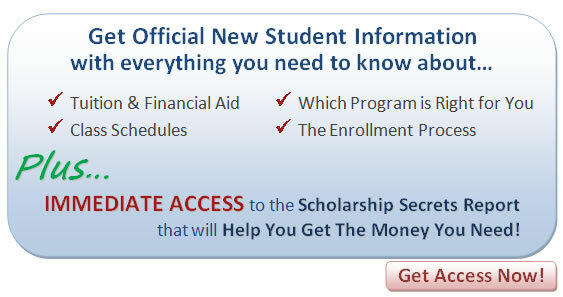 Gift Aid is available to first-time undergraduate students who qualify. The entire process for obtaining financial assistance can be done right online, so you do not have to worry about cumbersome mail communication. In fact, GCU will secure your transcripts for you! Grand Canyon University Online is committed to providing the best student support when needed. This comes through knowledgeable virtual instructors who are leaders in their field, as well as an enrollment counselor, who can be reached at 1-800-486-7089. They are able to answer many of your questions about the university and/or the courses that you would like more information about. The Grand Canyon Online University is an accredited school. We are accredited by the Higher Learning Commission of the North Central Association, which is located at 30 N. LaSalle St. Suite 2400, Chicago, IL 60602-2504 (phone: 800-621-7440; web: http://www.ncahigherlearningcommission.org). The College of Nursing and Health Sciences is accredited by the Commission on Collegiate Nursing Education (One Dupont Circle NW, Suite 530, Washington DC 20036), as well as the Arizona State Board of Nursing who accredits the Bachelor of Science in Nursing degree program at Grand Canyon University online. Grand Canyon University has been given formal approval by the Arizona State Department of Education for elementary and secondary teacher certifications, as well as renewal of certificates. You can request free information from the Grand Canyon University online program and learn more about how easy it is to earn your Bachelor's or Master's degree online with a school that truly takes your education into account by offering quality and relevant courses.